1. Won't work at all. 2. Work, but won't blink. 3. Blink, but really fast. 4. Both lights come on. 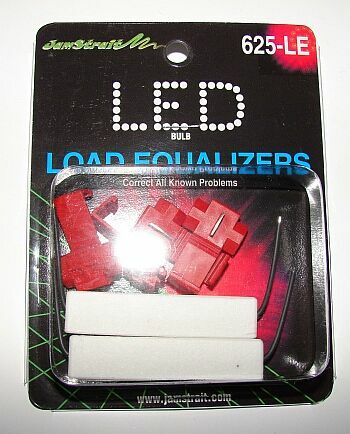 LED's pull very little power. Normal bulbs draw much more power. That power draw is what makes the flasher unit in turn signal circuits work. Well you will want slightly different components than what you use for regular bulb systems. First, you will want an electronic flasher unit. You can get them at most auto parts stores. They just wire right in before the lights. (Just follow the instructions on the package.) Easy fix!